Attention deficit hyperactivity disorder (ADHD) is not just a problem in children; the symptoms can manifest at any age. If you were diagnosed with childhood ADHD, chances are, you’ve carried at least some of the symptoms into adulthood. But even if you were never diagnosed with ADHD as a child, that doesn’t mean you can’t be affected by it as an adult. ADHD often goes unrecognized throughout childhood. This was especially common in the past due to the low level of awareness about ADHD. Rather than recognizing your symptoms and identifying the real issue, family, teachers, or others may simply have labeled children with ADHD as dreamers, slackers, troublemakers, or just a bad students. Alternately, you may have been able to compensate for the symptoms of ADHD when you were young, only to run into problems as your responsibilities increase. The more balls you’re trying to keep in the air as an adult—pursuing a career, raising a family, running a household—the greater the demand on your abilities to organize, focus, and remain calm. Such demands can be challenging for anyone, but those with ADHD, it can feel downright impossible. For the purposes of diagnosing adult ADHD, your psychiatrist, physician or therapist may use guidelines from the Diagnostic and Statistical Manual of Mental Disorders (DSM). It contains diagnostic criteria for three sub types of ADHD: predominantly inattentive, predominantly hyperactive-impulsive, and combined. The degree of impairment caused by symptoms has to consider a person’s intellect, job/home demands and the ability to compensate and overcome some symptoms. Keep this in mind when reflecting on the presence and severity of your symptom on this list. The DSM manual identifies 9 evaluation criteria related to inattention and 10 related to hyperactivity-impusivity. It specifies that six (or more) of the inattention symptoms and 6 or more of the hyperactivity-impulsivity symptoms must have persisted for at least 6 months to a degree that is maladaptive and inconsistent with developmental level The provider making the diagnosis must also be certain that the symptoms are not better accounted for by another disorder. 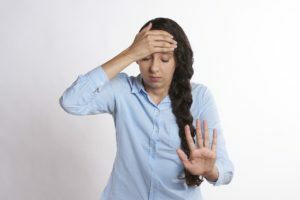 ADDitude magazine has published a list of symptoms that you can use a preliminary self-screener to see if you might want to seek the help of an ADHD professional. The good news is that, no matter how it feels, the challenges of ADHD can be surmounted. With education, support, and a little creativity, you can learn to manage the symptoms of adult ADHD—even turning some of your weaknesses into strengths. No matter your age, it’s never too late to turn the difficulties of adult ADHD around and start succeeding on your own terms.